This is really funny. 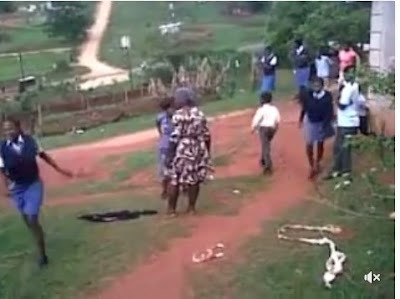 Two ladies decided to slug it out with each other publicly in front of secondary school students. 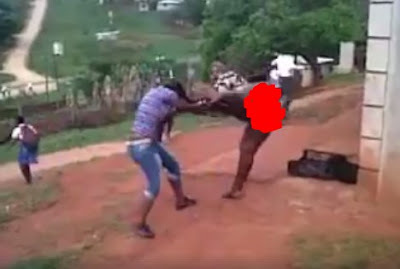 The young ladies who engaged each other in a fight - did so after a heated argument, according to a trending video footage posted online. One of the ladies decided to disgrace her colleague by pulling up her clothes and exposing her private part right in the presence of the passersby and onlookers. 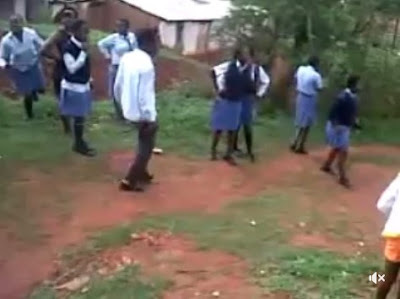 The fight was later separated after one of the women was thrown on the ground and was savagely beaten.